A multimeter is one of those things that every electrician, hobbyist or professional has simply got to have in their arsenal. A good multimeter is your eyes in any electrical repair situation. It lets you know what’s going on in the circuit, and in doing so, can help you diagnose the problem. 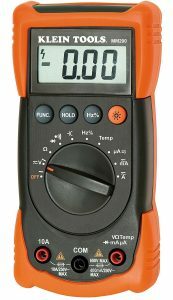 Multimeters come in a wide variety when it comes to quality and price – the purpose of this post will be to help you find the best multimeter that money can buy. Our aim is to give you the best bang for your buck and help you find a tool that will serve you for years to come. Online product descriptions of multimeters can sometimes be obscure if you don’t know what you’re looking for. Should you get a Blue Point or maybe a Fluke? A lot of strange-sounding words that represent parameters you might not be familiar with cause confusion. Because of this, we’ve put together a collection of easy to digest reviews that are brief, concise, and that will hopefully help you make your choice quickly and easily. If you’re interested in buying a multimeter, Amazon promo codes and other deals are just one of the many chances you have to shop & save. Read on! This Fluke 87-V unit has a built-in low-pass filter that allows for accurate frequency measurements on its adjustable speed drives. The dual display resolution lets you see miniature changes in the value if you’re dealing with really sensitive signals, and the device can capture changes as fast as 250 microseconds. The maximum rating of this unit is 1,000 volts, which is more than enough for any household application, and the multimeter is CAT III and CAT IV safety rated so you can safely use it for any of your electrical applications. 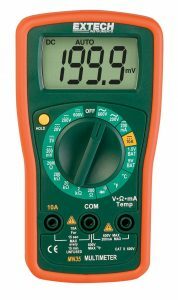 This is a very versatile unit capable of measuring more values than almost any conventional multimeter. It does AC and DC voltage, AC and DC current, resistance, capacitance, frequency and even temperature, which just about encompasses anything you could ever need when dealing with electric circuits. 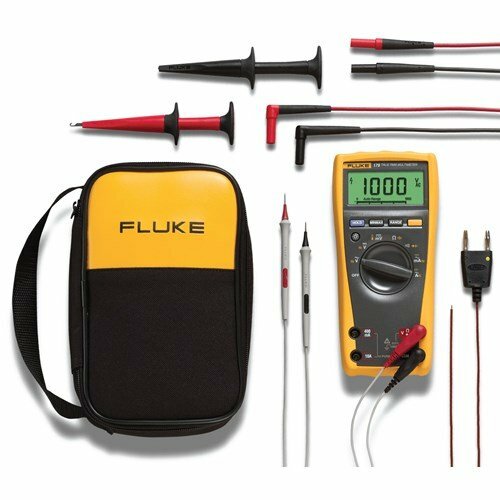 The multimeter Fluke 88 allows you to switch between manual and auto-ranging modes that can sometimes be useful, if you’re aware of the exact range the value is in. If automotive is what you’re looking for, this is one of the best automotive multimeters on this list, so if that’s the case, you should definitely take it into consideration. 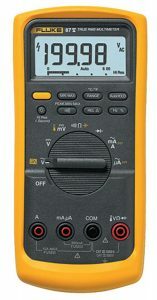 If you’re a pro electrical engineer and want to get your hands on the best multimeter for electronics technician employees, the Fluke 179 is for you. 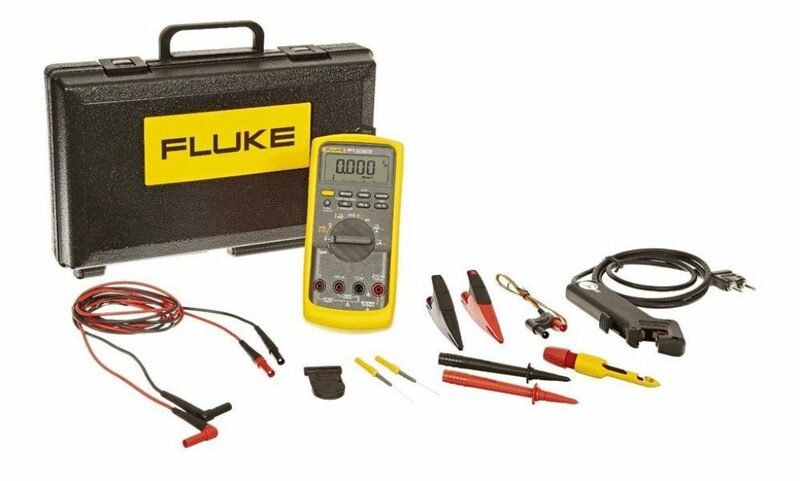 This is the top model of Fluke’s 170 series that comes with a lifetime warranty, voltage range up to 1000V, current range up to 10A and a built-in temperature rating. It’s possible to choose between automatic and manual ranging – which is always useful – and the unit itself come with a 9V battery, a thermocouple and test leads, meaning it’s ready to be used right out of the box. The MM700 uses TRMS technology for increased accuracy with the automatic ranging algorithm and is capable of measuring up to 1000V AC/DC voltage and up to 40 MΩ resistance. The CAT IV safety rating dictates the safe use of this unit at 600V, and this multimeter was tested to withstand a six feet drop without any noticeable performance impairment. If you need the best multimeter for electronics hobbyist purposes that will last you a long time, definitely consider the MM700. Many people wonder where they can find the best multimeter for HVAC, but look no further – we’ve got it right here. As many of the units in this price range, the MM200 is equipped with auto-ranging and a backlit display so that you can use it even in low-light conditions. The voltage rating goes up to 600V, and the current is rated at 10A. 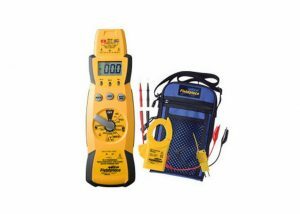 It’s capable of measuring capacitance, temperature, and frequency, in addition to voltage and resistance, making this a good all-around unit that will take the guesswork out of your electrical troubleshooting. 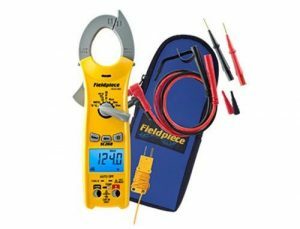 The Fieldpiece HS33 is a good entry-level multimeter if you’re a hobbyist electrician and are short on cash. The cool thing about this unit is the non-contact voltage feature. Once this is turned on, all you have to do is hover the unit over the source, and the voltage will read out on the screen. This can really come in handy when you’re dealing with a problematic circuit that’s under high voltage. Since you don’t have to physically touch the circuit, it’s a safer way to work. Overall, it’s perhaps the best budget multimeter. This unit features true RMS measurements for accurately testing variable frequency drives with greater accuracy than you could test with a conventional multimeter. Additionally, the SC260 features a backlight display for readouts in low light conditions, and like the previous unit, it includes a hands-free measurement function thanks to an innovative magnet-based engineering principle. The high-temperature resistance of this unit means that it’s fit for use in almost any environment, and the Auto Select mode helps you save time on setting the unit up for first use. The LT17A has a capacitance rating up to 200 MFD and a temperature rating of up to 1400 °F. It works with accessory heads and includes microamps for conducting a flame diode test. A magnetic hanger is included making it easy to put the unit away when it’s not in use. The auto power off feature prolongs battery life if you’re one of those people who tend to forget to turn the unit off (there are a lot of us out there, believe me). 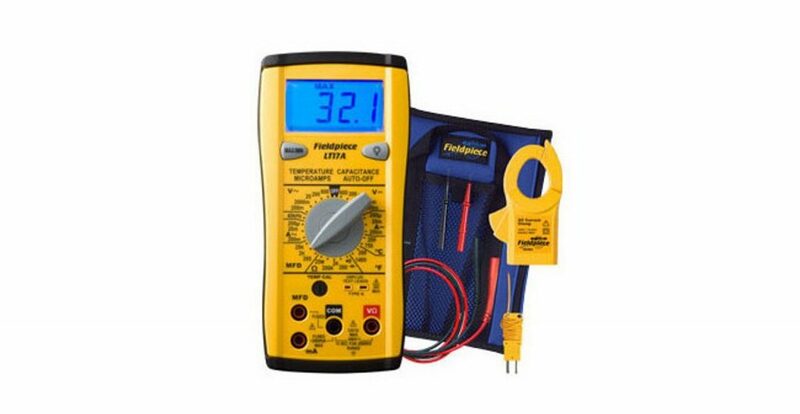 Probably the best multimeter under 50 dollars you can find on the market today, so if you’re short on cash we highly suggest you take a look at it. This Cen Tech multimeter unit features an easy-to-read LCD and is capable of measuring AC/DC voltage and current, continuity, and temperature. The display capacity is rated at 1999 and, unlike most other units in this price range, it has a memory bank for storing various values after they’ve been measured. This arguably best multimeter under 100 dollars makes your job easier in the sense that you no longer have to carry a pen and paper around to memorize values. Now the unit itself can do that for you! This unit is essentially an upgrade from the 3320 model, with more included functionality and higher build quality. It’s accurate, effective, and has a compact design that makes it easy to carry around and use in almost any application. Additionally, it has a very user-friendly interface that even the hobbyist electrician can get acquainted with very quickly, so if that’s what you’re looking for you should definitely check out this model. The MS8268 has a very useful function that can help amateur electricians save their equipment from disaster as well as prevent a nasty shock to their skin. Namely, if the jacks are connected incorrectly, the device will immediately give you a LED and sound warning, so you know that something is wrong. Additionally, it comes with an auto power-off feature, and a back-lit LED display for use in low-light conditions. If there was ever a multifunctional multimeter, this is it. The MS8229 is capable of the basic measurements such as voltage, current, resistance, and capacitance, but there’s also a lux meter, humidity meter, sound level meter and thermometer built in. No matter which field of expertise you’re in, a unit like this will probably have you covered 90% of the time. Like the previous Mastech model, this one also has the LED and sound warning feature, so it’s really hard to damage the unit with incorrect use. This compact and powerful unit from Extech features a true RMS measurement algorithm capable of giving you precise readouts no matter which value you need to measure. Among those are voltage, current, resistance, continuity and even frequency, capacitance and duty cycle. The large backlit display makes readouts a breeze, and the ergonomic design makes the device easy to use and manipulate in a physical sense. It’s a strong contender for the best automotive multimeter on our list. With a built-in non-contact AC voltage detector and 4000 count auto ranging, this is the go-to device for beginner electricians. CAT III rates this unit at 600V UL listed, which is more than you’ll ever be exposed to in normal household conditions. The included rubber holster protects the multimeter from any form of physical damage, and the low battery LED indicator makes sure you’ll never run out of juice when you most need the unit. 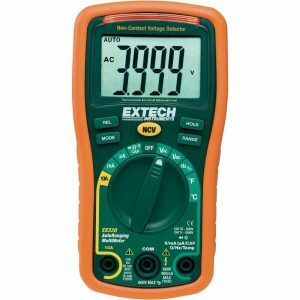 The Extech EX330 can be found in the Home Depot multimeter catalog for as little as $52.99, which is a steal for a unit of this quality. Despite its small size, this compact manual ranging multimeter is capable of measuring eight different values, including temperature, capacitance, and continuity. If you need a small unit for your “test battery with multimeter” needs, this is probably the perfect one, as it has a special test function that works on 1.5V and 9V batteries. The large digital display is easy to read, and the unit actually comes with a tilt stand that can be very useful in an ergonomic sense. Finally, we have the Amprobe AM-510, a full-featured multimeter with non-contact voltage detection, a diode test function and an audible continuity function as well (meaning it makes a small beep to show you if there’s continuity in the circuit you’re troubleshooting). Safety rated at 600V, this unit is sure to meet all your households needs, and the durable overmolded rubber enclosure makes sure that it’s resistant to any physical damage that may accidentally befall it. Now that you have some ideas about which multimeters to check out in your particular price range, let’s briefly discuss what a multimeter actually does, and which characteristics you should look for when purchasing one. Both the best multimeter and the most basic model are essentially simple devices that are easy to use. To use a multimeter, simply connect the probes to the two ports available on your multimeter. One of the ports is hot; the other is the ground. Connect the other side of the probes to the electrical circuit you want to troubleshoot (the “hot” probe goes to the hot wire, the “ground” probes goes to the ground wire) and then use the knobs to select the parameter you wish to measure. To use a multimeter, simply connect the probes to the two ports available on your multimeter. One of the ports is hot; the other is the ground. Connect the other side of the probes to the electrical circuit you want to troubleshoot (the “hot” probe goes to the hot wire, the “ground” probes goes to the ground wire) and then use the knobs to select the parameter you wish to measure. For example, if you wanted to check the continuity of a potentiometer, you’d set it to resistance and check if the value of the resistance changes as you turn the potentiometer. To choose the best model for your, there are a few more things that you should know about them. There are a lot of places you can purchase a good multimeter – AutoZone and Home Depot are the first places where customers go to. But, when buying a multimeter, Walmart sales are yet another great alternative to saving. What also comes into question is the brand of the or one of the Fluke units? But before you take any of this into consideration, you need to have the right kind of info. First off, when it comes to multimeters, there are two types: the analog and the digital multimeter. How to use each of them differs only in the way the values are displayed. Analog multimeters use an old-fashioned dial or arrow to show you the value against a physical scale, while digital multimeters display actual numbers that represent the value of the parameter. 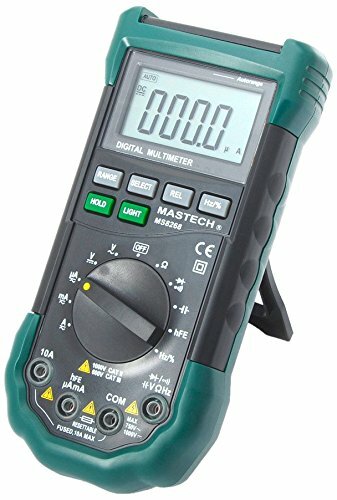 Digital multimeters are pretty much the standard today, although you could still get a used analog multimeter that works just fine for potentially less money. The next characteristic to look at would be auto-ranging. If you’ve ever used a classic multimeter before, you’d know that most of the older models use manual ranging – meaning that you have to select the range that the value you’re measuring is going to be in. If you set it incorrectly, you’re going to get very weird numbers or the multimeter won’t work at all. Auto-ranging takes this whole process out of the equation by automatically detecting the range of the value and provides you with an exact measurement every time. 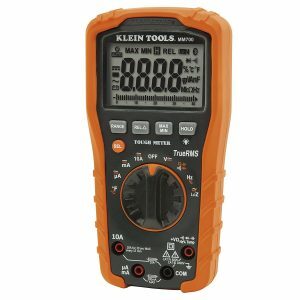 Check out the Home Depot multimeter offer for auto-ranging models because they have a great selection. Then there’s the maximum rating that the multimeter can read and detect. This mostly depends on what you’re going to use the unit for. Voltages, currents, and resistances can vary significantly depending on the purpose, from microvolts to megavolts, and too much voltage or current can damage a multimeter or even cause you harm. This is why it’s very important to look at the maximum rating the unit is designed for and always make sure that you aren’t going to be touching that upper limit. Finally, of course, there’s price. Blue Point multimeter prices can be quite steep and all of the factors we’ve mentioned above are going to impact the price of the unit. There are actually some more things to consider when deciding whether to go with a cheap or expensive multimeter. 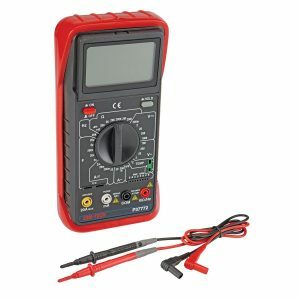 Cheaper multimeters will generally have an inferior build quality in terms of isolation (the choice between silicone or PVC on the probes, for example), the durability and feel of the dial and so on. For example, on the Sears offers some units that go as low as $10, but you should really be careful when the price is this low as it’s a red flag for inferior quality. The multimeter Lowes catalog has some extravagant prices as well. 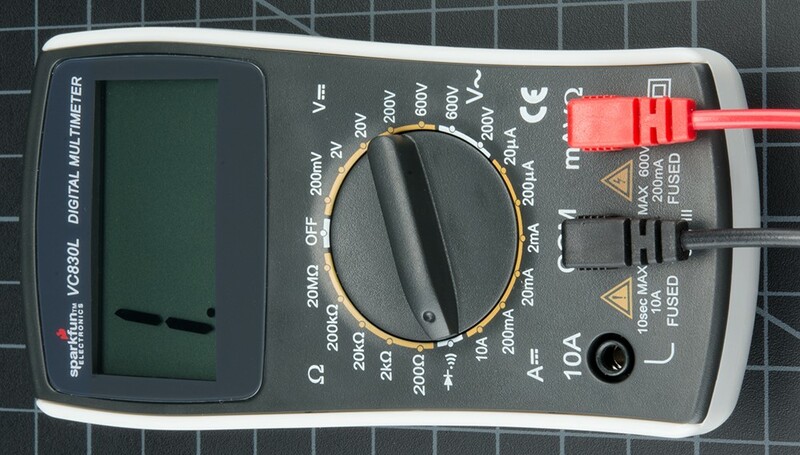 When looking for the best budget multimeter, many people make the mistake of thinking the really cheap unit will cut it, so just be aware that you are paying for the build quality as well. Instead of opting for cheaper models, opt for eBay coupons; that way, you get to buy high-quality, usually pricier multimers, at low price tags! You can get a good unit for just under $100, but do keep in mind that you’ll probably have to re-calibrate it once in a while (which can cost anywhere from $50 to $100). It’s foolish to attempt virtually any kind of electrical fix, no matter how simple it may be, without having a good multimeter on hand. Without a meter, you’re essentially blind to the problem, and without being able to properly diagnose and troubleshoot, you aren’t going to be able to perform the fix effectively. 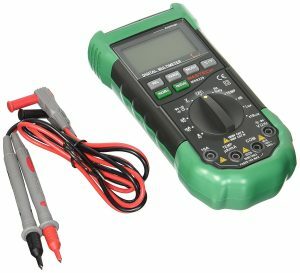 The best multimeter for your needs doesn’t have to be expensive; as long as you make sure that the build quality is okay and that you’ve got the correct rating, then you have nothing to worry about. After all, even if the price of your desired product is above average, you can always get one of the Groupon coupon codes and deals. Hopefully, this extensive guide and our multimeter reviews have helped you decide on a multimeter that you’ll be happy with, so you can go back to mending those circuits – or constructing new ones – to your heart’s content. Good luck!